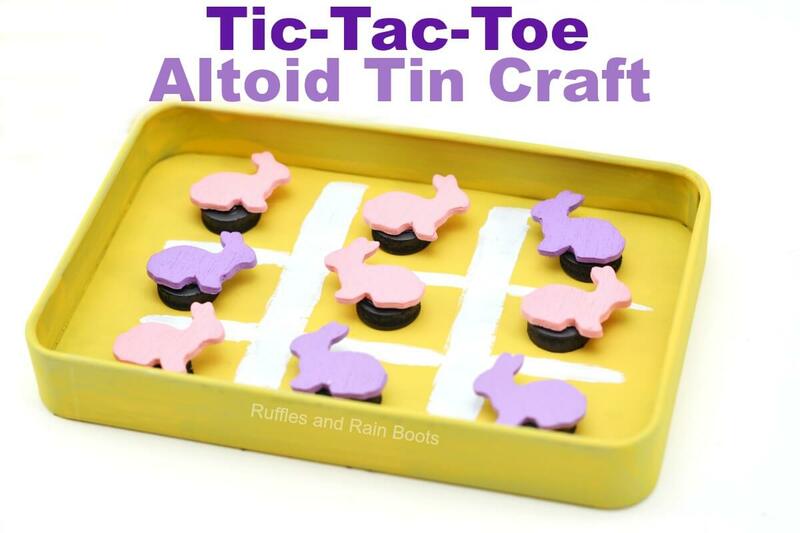 This adorable Easter tic-tac-toe magnetic game uses an empty Altoid tin or candy tin, making it a great recycling craft! It’s a quick craft to make and is perfect for road trips is a great Easter basket idea. We love crafting for Easter and have made these adorable Easter bath bombs (SO easy) and even this cute bunny wall decor (look at that bum). But this Easter craft takes the cake for being the quickest and easiest Easter craft ever! to throw in a purse for that extra long grocery store checkout line! Other than the small magnets, we had everything on hand to whip this up. Get those on order with Prime or make a run to the craft store – any magnets will do because these are very light pieces. Wipe down and clean the tin with a wet paper towel and allow it to dry. Paint the inside and outside of the tins and set aside to dry. 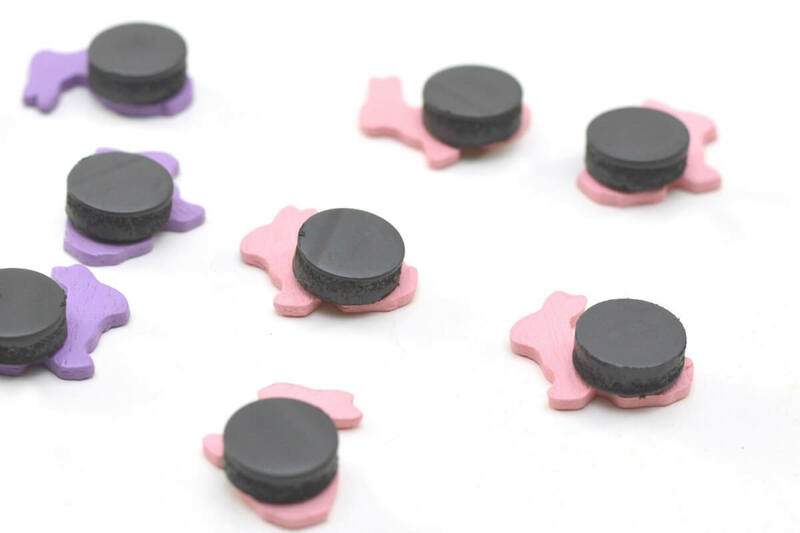 While the paint is drying, hot glue the small magnets to the back of your shapes. We made 5 of each shape for our Easter tic-tac-toe game but having a few as backup pieces is a good idea. Once the tin has dried, use the paint pens (or a paintbrush) to create the Tic-Tac-Toe board on the inside bottom of the tin. You can also write, Tic-Tac-Toe, Easter tic-tac-toe, or even Happy Easter! Seal it to prevent the paint from scratching off during play. Give it two coats for good measure. Then, place the magnetic shapes in, tie it with a bow, and give it to your favorite tic-tac-toe fan! See this adorable Easter Tic-Tac-Toe (Easter basket idea) come together so quickly! Are you a fan of Altoids? My daughter knows I love them and every.single.time. we are at the store, she picks up a tin and tries to put it in the cart. They are, however, a bit “too spicy” for her.